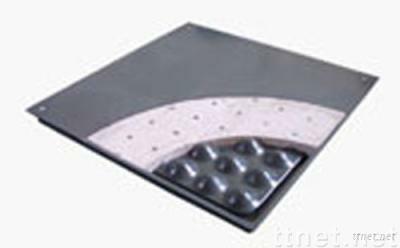 Panels are epoxy coated welded construction with an enclosed bottom pan formed with a uniform pattern of modular pockets. The unitized panels are filled with a lightweight cementitious material of sound deadening qualities and to provide the performance values specified. They are rigid structural assembles fabricated to exacting tolerances on squareness and flatness measured on a diagonal across the top of the panel. Designed specially for office building. Engineered positive engagement between panel and pedestal. Easy and quick accessibility. Excellent seismic proof performance. Maximum Finished Floor Height:1200 mm.